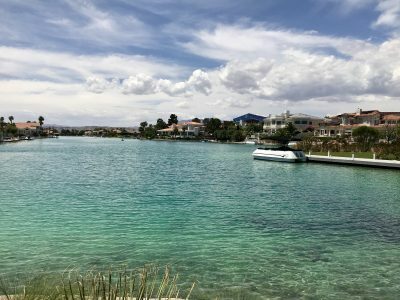 The southwest part of Las Vegas is a very popular area and home to several established master planned communities including The Lakes, Peccole Ranch, Canyon Gate Country Club, Spanish Trails Country Club, Rhodes Ranch and further south are the newer communities of Mountain’s Edge and Southern Highlands. This area is still being built out and boulevards are being widened to accommodate the growing neighborhoods. It is basically bound by the I-15 and Sahara Ave to the foothills in the south and the west. Chinatown is also located in the more central part of the southwest and has amazing shops and restaurants. There are also large swaths of land that are designated RE which is Rural Estates where properties are custom homes on a minimum ½ acre lots and often zoned for horses. The Lakes is central Southwest and very close to shopping, restaurants and medical. It was built around a man-made lake with many extending fingers in the mid-1980’s. Only a few of the many properties are actually on the lake but the community has lovely, mature landscaping and many walking paths. Nearby restaurants include Paymons Mediterranean Café & Hookah Lounge, La Belle Terre French Café, Chef Marc’s Trattoria and Roma Deli II. 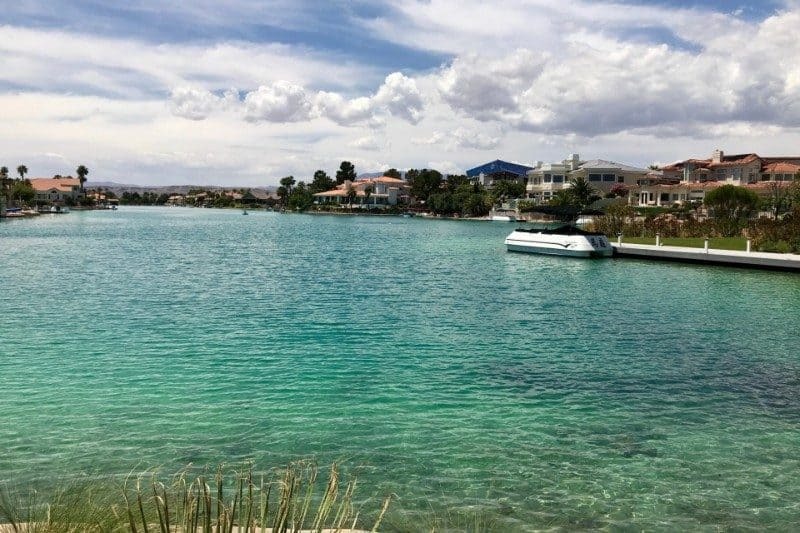 The family atmosphere and location near Downtown Summerlin. 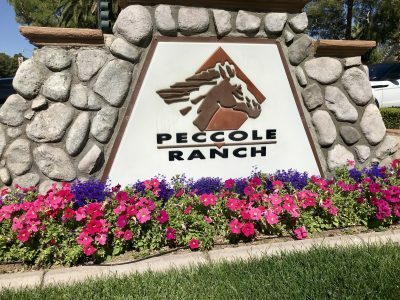 Peccole Ranch is just across Sahara Ave from The Lakes. Also centrally located with close access to great shopping areas like Boca Park, movie theaters, and restaurants. Peccole Ranch has wonderful greenbelts with walking/biking paths that are shaded by the huge mature pine trees planted 30 years ago. The properties range from small starter homes to gated neighborhoods with larger family homes. The HOA maintains two lighted tennis courts, a community center and playground. Clarence Piggott Elementary School is right in the middle of Peccole Ranch. (Side note: Mr. Piggott was my high school teacher.) Nearby restaurants that I enjoy are Honey Salt, North Italia, Siena, PF Changes and Mercado’s Cantina. The wandering shady greenbelts for walking, running or biking! 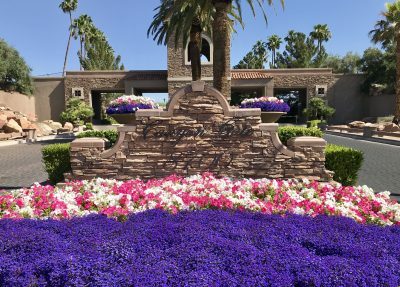 Canyon Gate is a guard gated neighborhood built around a lovely golf course. It has a country club with golf pro shop and restaurant, five lighted tennis courts and tennis pro shop. Most of the properties are custom homes with golf course frontage but there are also condos and smaller single family residences available. Centrally located and close to Boca Park shopping and Downtown Summerlin. Nearby restaurants include Flemings Steakhouse, Outback Steakhouse, Brio Tuscan Grill. They love the central location and charming clubhouse. Spanish Trails is located further south and was built in the 1980’s. It has some of the lushest landscaping in the city and has recently remodeled many of it’s common area facilities. 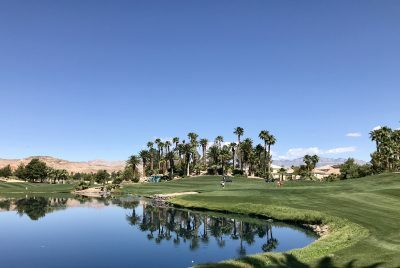 It features a private golf course, club house, seven lighted tennis courts and tennis pro shop, four more satellite tennis courts, and several pools. A wide range of properties are available here including townhomes, smaller single family and large custom homes. Nearby restaurants include Archie’s Thai Café, the Baguette Café, and Café Berlin. They love the lush landscaping and competitive tennis teams. 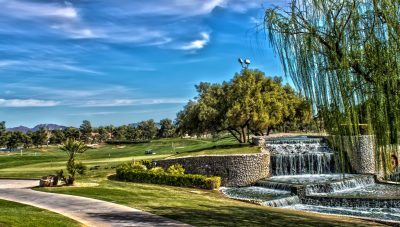 Rhodes Ranch is located south of the 215 beltway and is a guard gated community with a public golf course. Most of the properties here are single family homes built by Jim Rhodes in the 1990’s. They have a very nice community center with a state of the art gym which is included in your very reasonable monthly HOA fee. Favorite restaurants close by include The Black Sheep, Paid in Full and Master Kim’s Korean BBQ. That the HOA fee is affordable for everything that it includes like the guard gate, club house and fitness center. A master planned community started in the mid-2000’s located south of Blue Diamond Road and west of Rainbow Blvd placing it in the very southwest corner of the valley. This large community has over 14,000 homes in approximately 22 neighborhoods. 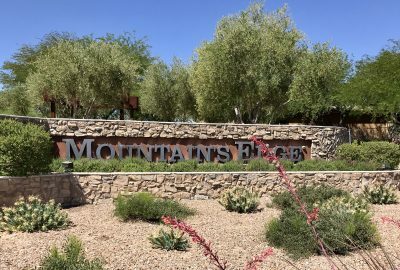 There are several large parks and now the “Desert Diamonds Baseball Complex” is under construction on 25 acres of land adjacent to Mountains Edge. Popular restaurants nearby include Baby Stacks, Our Families Country Café, The Habit and WTPho. A master planned community located at the base of the south valley foothills and west of the I-15. This community features a large custom home area surrounding the Southern Highlands Golf Club and many guard gated neighborhoods. There are also many smaller single family home neighborhoods some gated and some not. 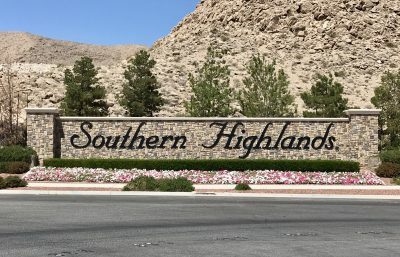 Southern Highlands has it’s own grocery store and shopping area, many parks with playgrounds and tennis courts, and has easy access to the I-15 which can take you straight to the Strip hotels and downtown Las Vegas. Popular nearby restaurants include The Bootlegger, Zest, Mama Bird and Spaghetty Western. With easy access to the airport, I-15 and 215 Beltway my clients feel like they live off in their own little world but are close to everything!